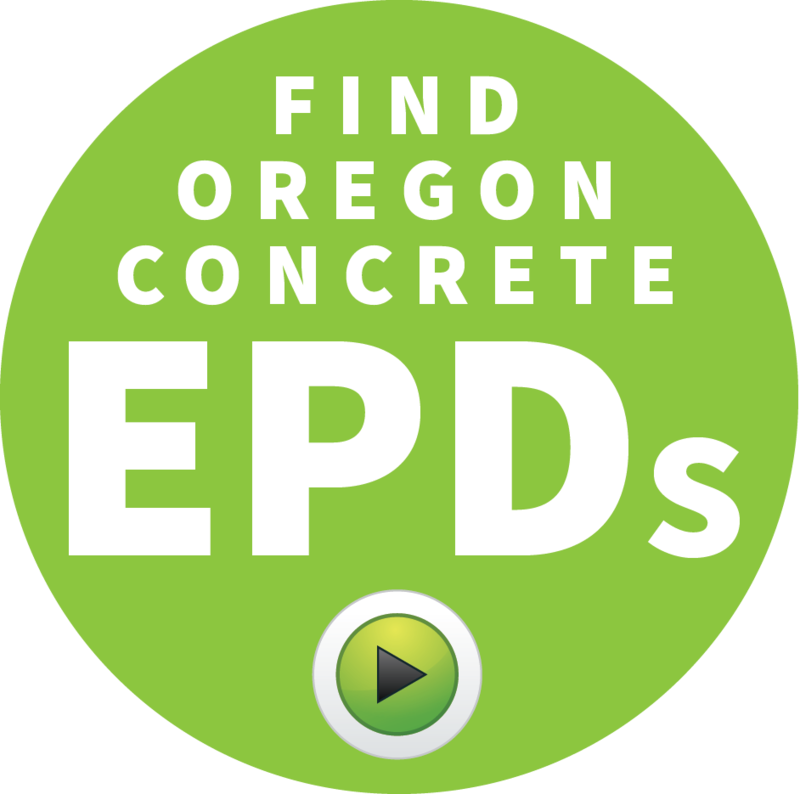 Any concrete company in Oregon that has a third-party verified Environmental Product Declaration (EPD), for one or more of their concrete mix designs, may be listed here in the future (Subject to eligibility and verification criteria). The Oregon Concrete EPD Program is a partnership between OCAPA and the Oregon Department of Environmental Quality (DEQ). It features free EPD tool access and cost reimbursement incentives for Oregon concrete producers. > The EPD tool was originally funded and launched by the Cement Sustainability Initiative (CSI) of the World Business Council on Sustainable Development. The tool was recently adapted by the Portland Cement Association (PCA) for use in the United States. Oregon is one of the first states in the nation to enter into a sublicense agreement with Quantis (the tool developer) and the World Business Council to offer free access to the CSI EPD tool for all concrete producers in Oregon. What’s an Environmental Product Declaration (EPD)? For concrete mixes, EPDs are calculated and published for individual concrete mixes at specific plants. Identical mix designs produced at different plants in the same company may have different environmental impacts based on the plant’s efficiency, the raw materials used, and the transport distances for raw materials. An EPD is valid for 5 years. A concrete plant can choose to redo an EPD at anytime if they’ve improved their sourcing or manufacturing and want to reassess and disclose their improvements. Product improvements over time may help contribute to “points” in the LEED V4 green building rating system. Are other concrete producers publishing EPDs? Yes. NRMCA’s website has a list of other concrete companies that have produced plant specific EPDs for their concrete mixes. Additionally, the National Ready Mix Concrete Association (NRMCA) published an industry average EPD in December of 2014 and is updating the EPD in 2016. Why would a concrete company want EPDs? The biggest market driver in 2016 is the LEED V4 building rating system. EPDs for building products (including concrete mixes) can be awarded points in LEED V4. LEED V4 is no longer giving points for recycled aggregate and locally sourced materials, which were the typical ways concrete producers contributed to LEED points in the past. The new rating system highly encourages EPDs. Concrete producers with EPDs will find more opportunities to contribute to LEED projects. Besides the demand from LEED projects, public and private sector clients may ask for EPDs to help them select a low impact concrete mix. Most concrete producers already have the knowledge and experience producing low carbon concrete mixes that have less Portland cement and high supplementary cementitious materials (SCM) content. EPDs will allow clients to select low impact mixes and may help clients contribute to public or private carbon reduction targets. EPDs also provide a quantitative measurement of a product’s impact that can be used as a baseline for future product improvement. Finally, EPDs identify a product’s “hotspots” or the portion of the products lifecycle that has disproportionately higher environmental impacts than other contributing areas. This will help concrete producers target their process improvements on the areas that matter most. 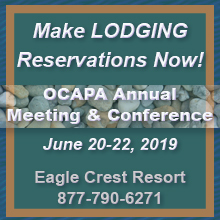 Why is OCAPA partnering with Oregon DEQ? Oregon DEQ was interested in how 3rd parties including industry associations and governments could support the development of EPDs, which is a form of product environmental footprinting. DEQ survey research found that product footprinting (such as EPDs) did, in fact, help companies make targeted and informed process improvements while in some cases also achieving financial savings for the business. DEQ’s survey research of over 120 companies also found that cost, staff time, and working with suppliers were all barriers to product footprinting efforts, such as producing EPDs. Oregon DEQ sought an industry sector where both market conditions and the ability to improve the product existed in tandem. DEQ pursued working with the concrete industry because of the existing active work on EPDs in the industry and concrete producer’s ability to lower the impact of their mixes with known technology. By participating in the Oregon Concrete EPD Program, concrete producers can produce the EPDs directly with the CSI EPD tool using their own staff, mix designs, and plant specific data. The CSI EPD tool is web-based and does not require special software, and is accessed via a web browser. A concrete company can also hire a consultant to produce their EPDs using the CSI EPD tool or by developing their own company specific EPD tool. How do I gain access to the EPD tool? OCAPA and DEQ are providing free access to the online CSI EPD tool, developed by the Portland Cement Association (PCA), to all concrete producers in Oregon. This tool was developed to create plant specific EPDs for cement and concrete. Concrete producers in Oregon gain access to this tool after they sign a “user agreement” with the tool developer that allows each company to keep their data confidential. Once the user agreement is signed, a company will be assigned an account for online access. One company may have multiple user accounts for their different plants participating in the program. Does my company have to use the CSI EPD tool? No. OCAPA and DEQ are providing free access to the CSI EPD tool because it will significantly lower the cost burden of producing EPDs for individual concrete plants and increase the comparability of EPDs. However, some companies may choose to develop independent EPDs using a different EPD tool or develop plant specific software that has more flexibility than the CSI EPD web-based tool, or use another available tool. If I don’t use the CSI EPD tool, are my EPDs eligible for reimbursements? Is publically available on the Internet and is 3rd party verified in compliance with ISO 14025. Uses either PCA’s most recent industry average cement EPD for US produced cement or product specific EPDs from their cement suppliers. Foreign cement data must be represented by foreign production-related impacts and appropriate transport distances. Participate in the initial and future project evaluation surveys conducted by OCAPA. Verification costs will vary, but initial ranges through one verifier shows that 100 mixes can be verified for $2,400 for one to three plants. Generally, the more plants grouped into one submittal result in lower costs per plant. Thus, the costs could be as low as $800/plant for 100 EPDs/plant if data is aggregated for submittals. This is just an example – costs will vary and should be obtained directly from individual program operators. How much will I be reimbursed by OCAPA and DEQ? OCAPA and DEQ will issue a partial reimbursement for verification costs. Each plant is eligible for up to a $2,500 reimbursement or 75% of their verification costs – whichever is less. Companies that own more than one plant may not qualify for reimbursements for more than 8 plants. Concrete plant must be physically located within Oregon. Baseline Concrete Plant Survey must be completed. Where will I submit my EPDs for 3rd party verification? Concrete producers will have a choice between numerous program operators. Program operators can be any organization that runs a voluntary program for the development and use of “Type III environmental declaration”, which are EPDs. Each program operator must follow the same set of operating rules, which are defined in ISO 14025. Most program operators will have numerous 3rd party consultants that could do the actual verification of the EPD. What will I need to submit for verification of my EPD? A spreadsheet template will be available shortly from OCAPA and DEQ to help producers gather and organize their plant level data for verification. Background data report for each mix being verified. The “background report” is an MS Excel spreadsheet that is exported directly from the EPD tool. How long will verification take? Estimates range from 1 week to 4 weeks depending on the accuracy of data submitted and the availability of the verifying agent. Are all environmental impacts of concrete production reported in the EPD? No. Only a selection of environmental impacts is reported. In fact, the product category rules require that all EPDs state the limitations of the EPD in the document itself. On Tuesday, July 19, 2016, PCA hosted a web-based User Tutorial for the CSI Environmental Product Declaration (EPD) Tool. The technical content was presented by Amanda Pike of Quantis who used the CSI Tool in the development of PCA's 3 U.S. industry average cement EPDs. She covers a brief overview of EPDs and the LCA process, and tours the Tool capabilities and reporting outputs for a Self-Declaration and requisite LCA background report needed for 3rd party verification of a full EPD. The program includes FAQ's from the webinar. Will OCAPA and DEQ provide 1 on 1 technical support? Yes, to a certain extent. DEQ can provide some technical assistance and demonstrations of how the tool is being used. DEQ and OCAPA plan to update the FAQs as needed and add more technical topics to help benefit everyone using the tool. If you have a technical question, simply contact DEQ.